A lovely one-of-a-kind hand made bookmark from 1920’s or perhaps from the teens. 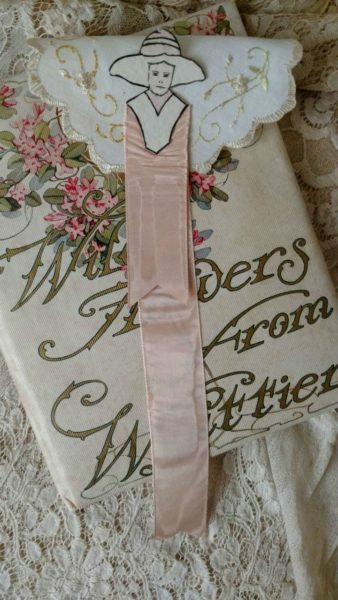 The bookmark is made from a length of moire silk ribbon folded over at the top. A lady’s face, wearing a large brim hat, is hand drawn on paper. The face is fastened to the top of the ribbon.